RE/MAX Results Realty opened in March 2012 by Brandon Crume. 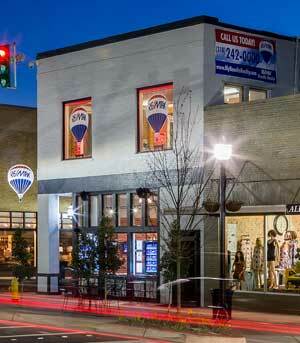 Our office is located in beautiful, historic downtown Ruston. Although the primary business conducted in the office will be Real Estate, our new innovative café style office includes many different traits that are not similar to other Real Estate offices. Our open floor plan was implemented to create a welcoming environment. We offer coffee, cokes, wi-fi, and multiple TVs that will feature news, weather, listing data, and historical information. We encourage the walking traffic to stop in to use our facilities at anytime. The downstairs will have multiple seating areas to relax after your shopping experience in the downtown area.